Hurrah! Spring has officially arrived- at least for the most part. Although it seems to be a daily surprise here in my part of the country whether or not we will have spring or winter temperatures, I thought it was a great time for sharing some fresh, new graphic novels with you! Below are a few of my favorite titles that have been published so far this year. I’m sure you and your patrons will enjoy them! 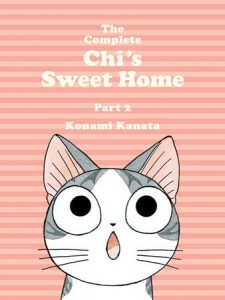 Complete Chi’s Sweet Home: Part 2 by Konami Kanata. Vertical Comics; 2016. Cat lovers of all ages will adore this manga series! This recently released title collects volumes four through six from Kanata’s original series. Follow Chi in her adorable adventures as she learns how to live with her adoptive family, the Yamadas, and searches for her mother. Unicorn Vs. Goblins: Another Phoebe and Her Unicorn Adventure by Dana Simpson. Andrews McMeel Publishing; 2016. The third volume in the Phoebe and Her Unicorn series delivers plenty of laughs, just like the previous two titles. Readers will follow Phoebe and her narcissistic unicorn best friend, Marigold Heavenly Nostrils, on some goofy adventures. The pair visit summer music camp, hangout with Marigold’s sister, Florence Unfortunate Nostrils (ha! ), and encounter a goblin queen. An especially great pick for tween readers. The Great Pet Escape by Victoria Jamieson, Henry Holt and Co.; 2016. The amazing creator of Newbery honor book Roller Girl has now given us this gem! Have you ever wondered what classroom pets do once the students and teachers have went home for the day? Jamieson gives us a hilarious look at the after-hours antics of the pets of Daisy P. Flugelhorn Elementary as they attempt to escape, get into a food fight, and more. Younger readers in kindergarten through second grade will be cracking up, I know I was! 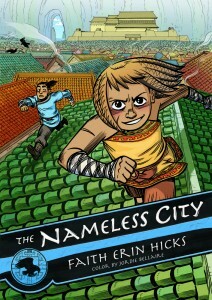 The Nameless City: Volume 1 by Faith Erin Hicks. First Second; 2016. This title is slated to be the beginning of a new series from Hicks and it is filled with adventure and intrigue. Two kids from opposite sides of a long-held conflict become friends in the City. It remains nameless due to the constant invasions by other nations, seeking to control the only passage through the mountains to the ocean in this well-developed fictional world. Recommended for older tween readers, this graphic novel takes on more serious issues of identity while providing plenty of fun action. What are some of your favorite graphic novels published this year so far? Happy reading until next time!